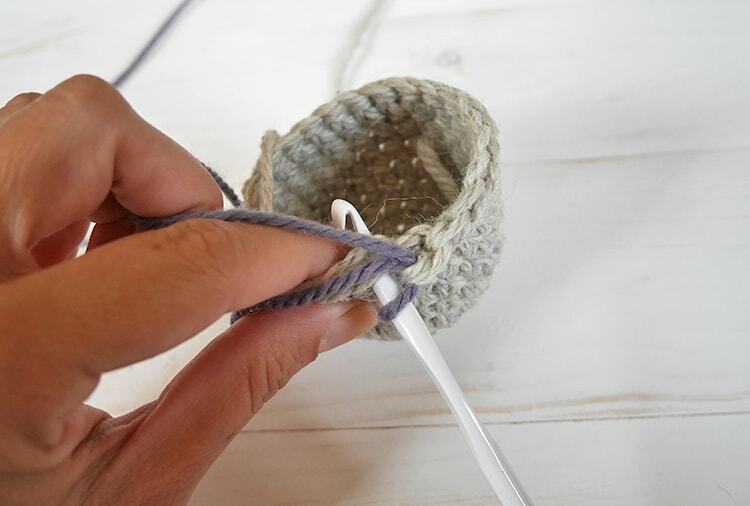 Did you know there is a way to change colors in crochet seamlessly when working in the round? You have no idea what I mean? Let’s explain things, then. 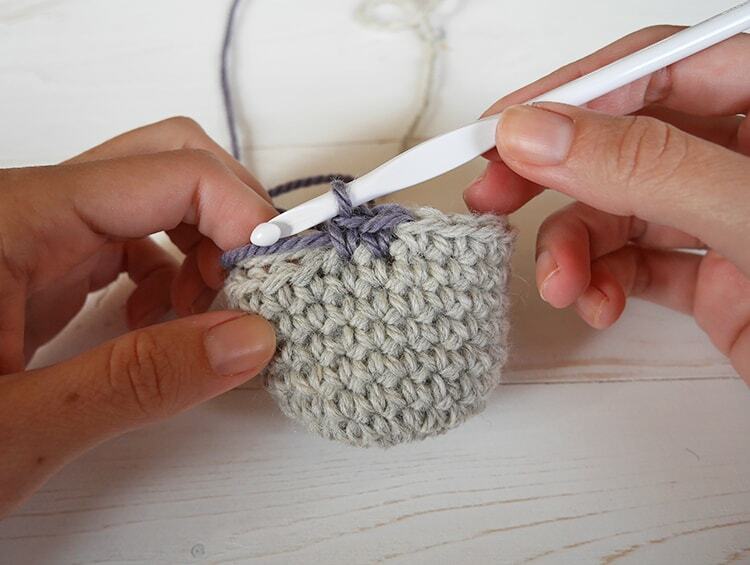 It is most commonly used in amigurumi making -because of the single crochets- but it’s not limited there. When you are crocheting in the round using single crochet and you want to change your yarn color in the middle of the row you get these annoying little spots of the previous color. Can you see them in the photo? 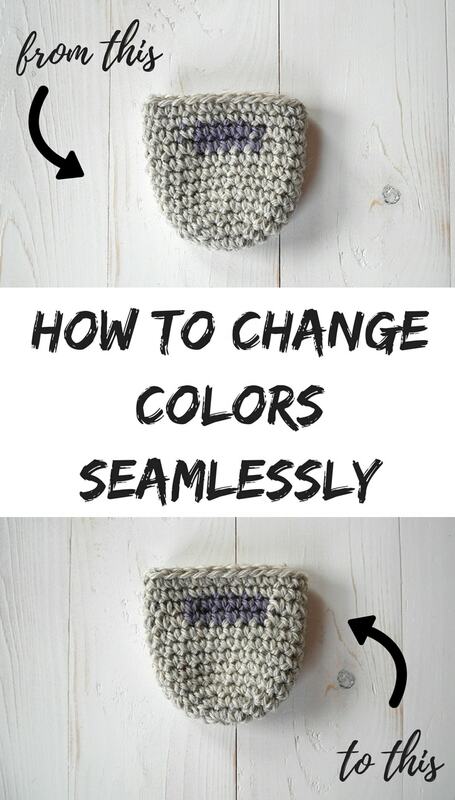 There is one little trick that will make your color changes as seamless as possible. Follow the photo tutorial below and you will master this technique in a minute. 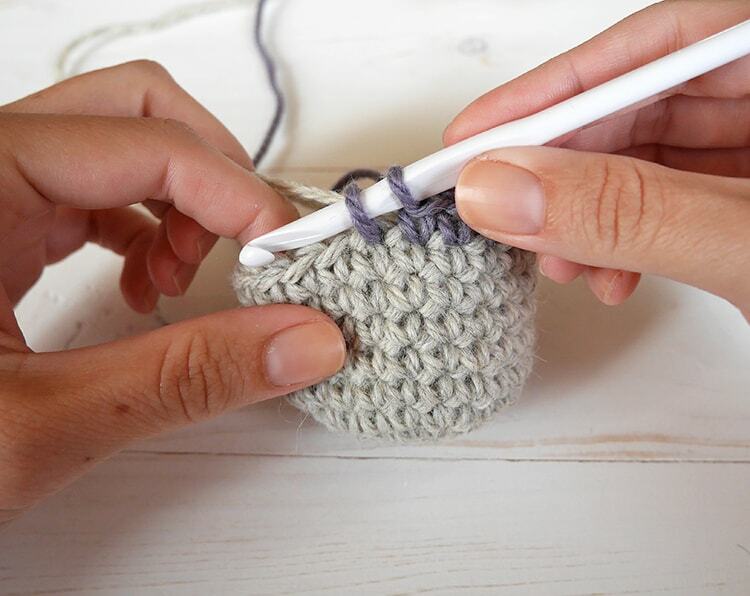 In the last single crochet before the color change, insert hook in the indicated stitch, pull up a loop. In other words, make a single crochet but don’t finish it! 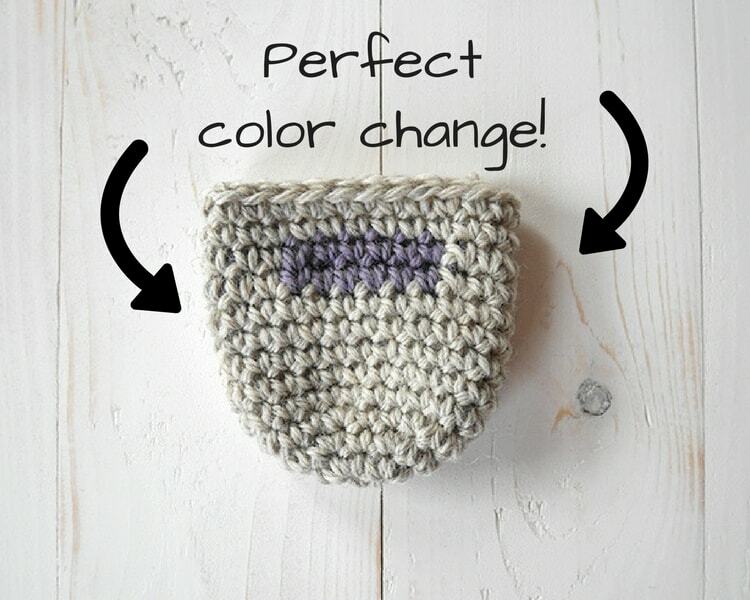 Grab the second color with your crochet hook and finish that single crochet. 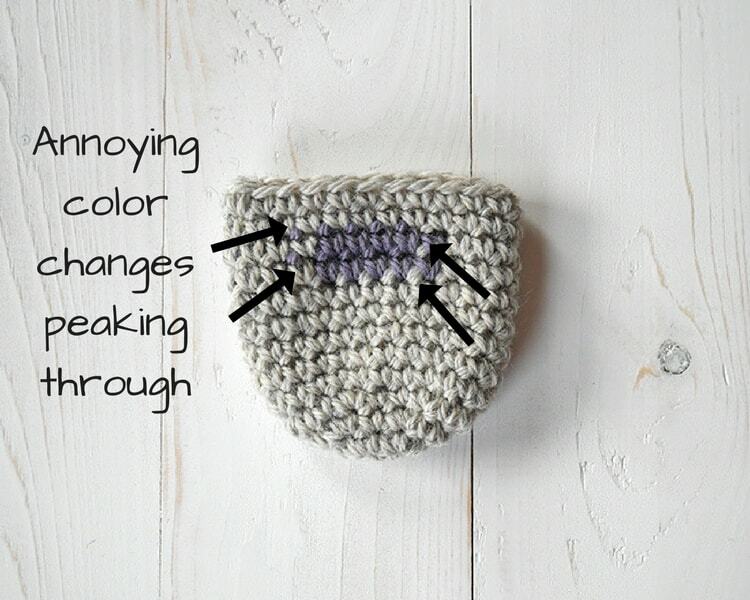 You have a nice finished single crochet in gray and a purple loop on your hook. 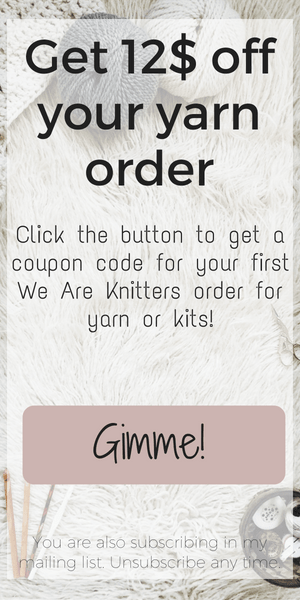 You will now continue with the purple yarn. I usually grab and weave the loose end of the new yarn with my main color in the first stitches. 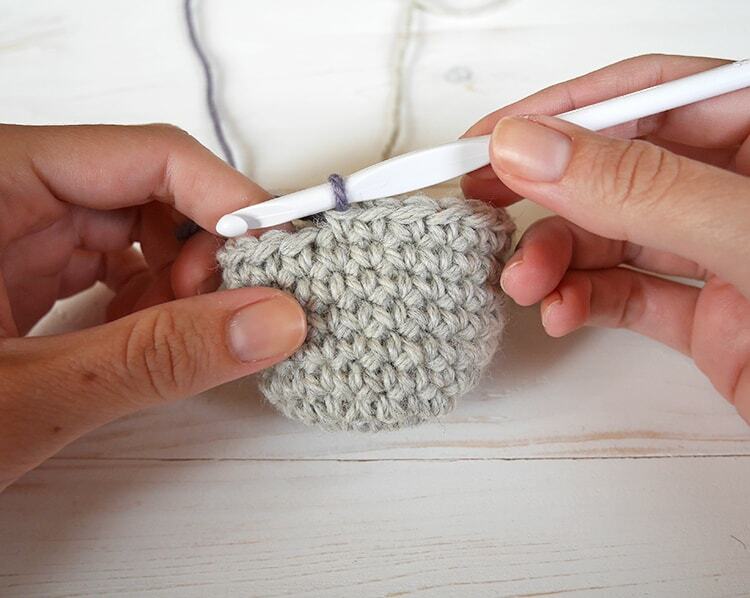 You will crochet over these two strands as normal and carry the main color yarn with you until the place you will need it again. 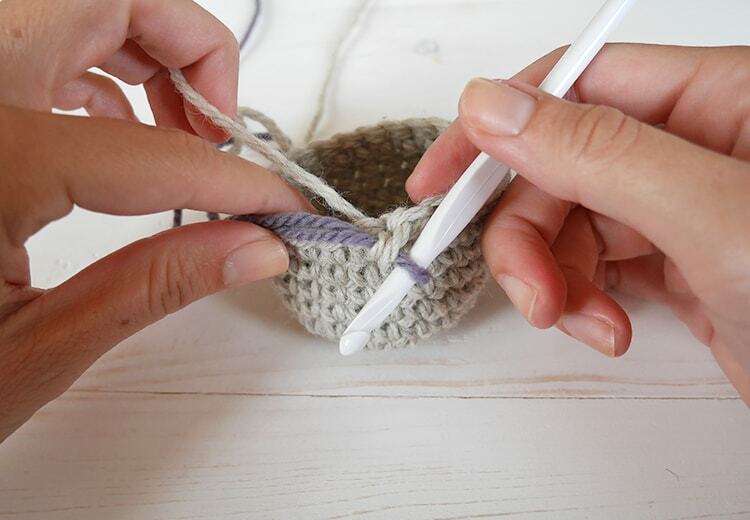 Hold your new working yarn -the purple- as you usually do and crochet as you would normally do. The only difference is that you place the other yarn -and the loose end if you like- on the back of the stitches of the previous round. 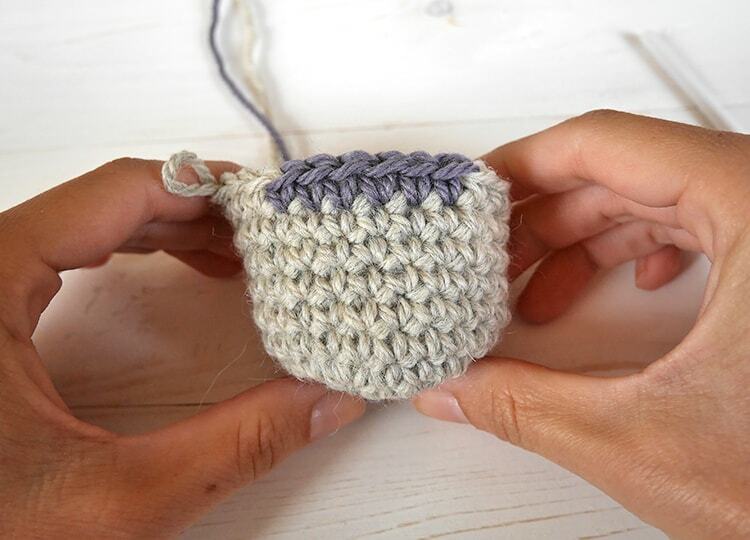 This will hold the yarn hidden and carry it along with you. There we have a clear color change! When you are ready to change back again in the main color, just repeat the process. 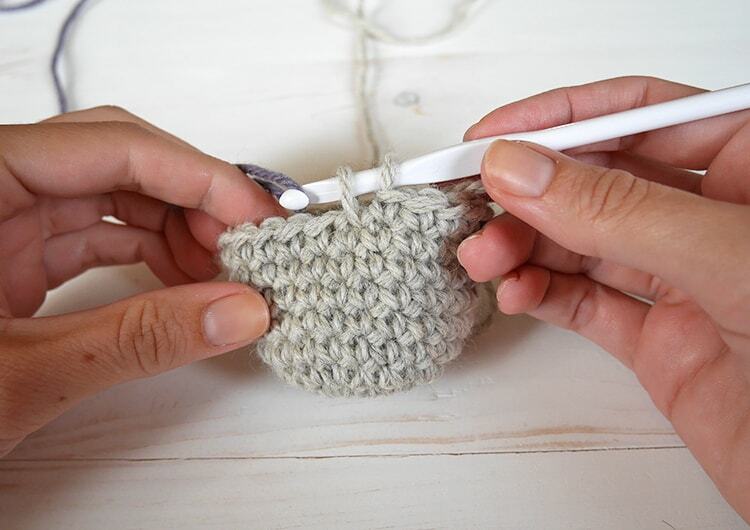 Make an unfinished single crochet, drop the color you are using, pick up the other one and finish that single crochet. You have now successfully alternate colors once more. And this is how clean and seamless your color change in crochet will look when working in the round, using single crochet stitches. 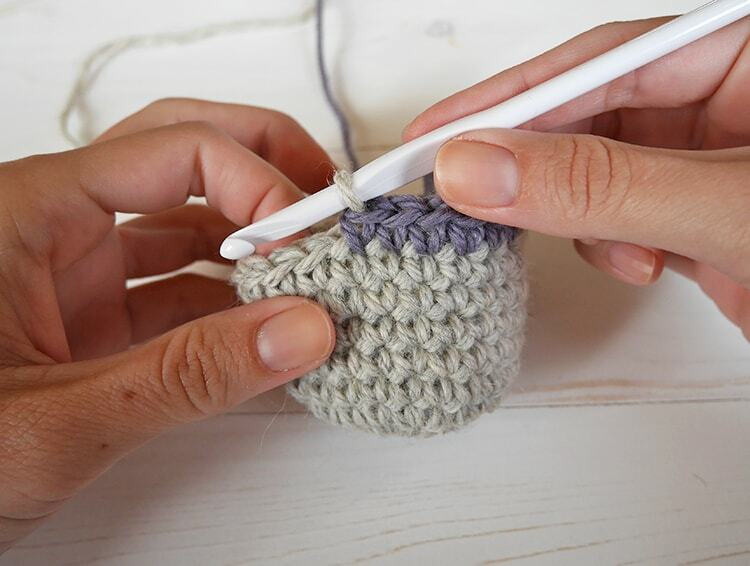 I am demonstrating this technique using single crochet stitches because it is the most common color changes I found and used. Also, the other color sticking out in the dense single crochet fabric was just too prominent. 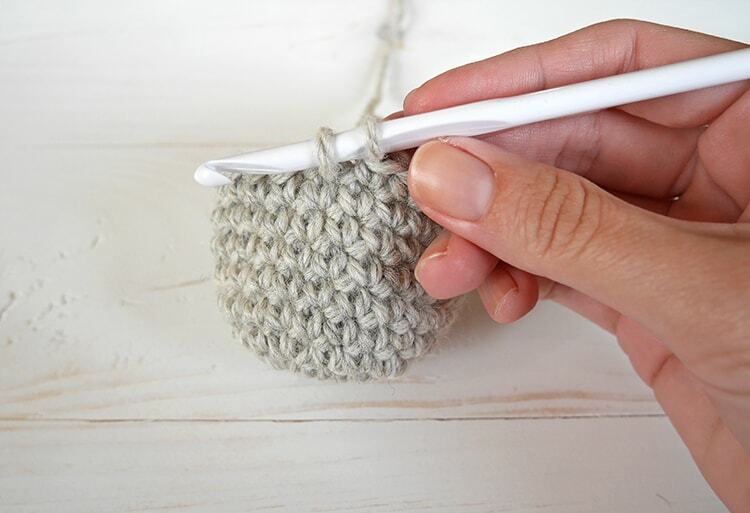 Although, you can apply it to double crochet and get the same results. This is how I always do my colour changes – but how do you handle the NEXT round? I’m trying to make an amigurumi dog that has a light stripe over his nose, but with the stripe STRAIGHT and not skewed, and it’s driving me nuts trying to get it all straight and neat! That is a great question, Sue! On neat stripes for amigurumi you should check out the tutorials of “Planet June”. She is an expert on the subject and if you don’t know her yet, I think you are going to love her!